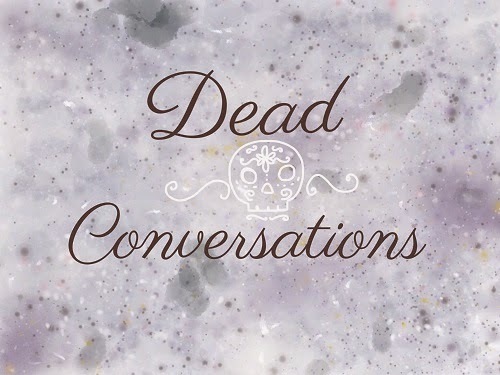 I asked a spirit to come forward and tell me about his death experience. I typed quickly as he spoke, and left the spelling as is. I found it to be an interesting conversation. "I died in 1958 in a pile of traffic. It was cold, dark, dank and filled with monsters (cars I think he means). I was driving one minute and the next I felt like the car door was the floor - and then I was dead. It was an instant. I felt myself slip aside then up.. no more like out. Like I was deep in water with no air left in my lungs. I expected to yearn for breath but that never came. My leg that'd hurt for years, I suddenly noticed it wasn't hurting. I felt like I should breathe but I didn't have the equipment for it anymore. I could hear Marty calling my name, crying, screaming dazed and it kinda woke me up from this amazement and excitement of this numb feeling. I couldn't see with my eyes, it was dark at first, but then I opened some sort of eyes, not like the eyes I had when I was alive but other ones. They didn't have lids it was just sort of an awareness that opened them. Marty was clinging to the lump of clothes next to him, I noticed it was a person slumped and obviously broken. I didn't realize then but I was seeing so differently, like the scene was in my consciousness, not outside in the world. Like my eyes were all around and encapsulating the scene. Like nothing I can fully explain. I was next to Marty, but also around him, above him, under him, you know? I saw he was sobbing like a kid, something I'd never seen before and I was confused until I was aware the body was me. It wasn't me at all, not anymore. I wasn't connected to it anymore. I didn't really have hands, but I reached out as if I had one and placed it on Marty's shoulder. He moved like he felt it I think. An officer was nearby, my awareness shifted to outside the car, the flashing lights and survivors moving in the scene. I was still with Marty but also outside. When it's your turn you'll see, we all get a kick out of it. It took a few minutes until I noticed my Ma outside the scene. She was dead and I felt pulled towards her, not like a physical pull but like an itch - I had to keep a date or I was late for an exam. God she looked so lovely. Her hair was all done up, her makeup, just like I remembered. But that's the queer thing, I remembered her as a little old lady, not this lady - but I knew it was her. It was a given. She welcomed me, loved me, cherished me and was so happy to see me. I was pulled around like at a party from group to group of my dead friends and family and coworkers and you name it. My dog Andrew was there, my pets all of them. All the friends I had that were dead were excited to see me. It was like I graduated and got to come home for the first time in decades. Oh yeah, it felt like home too, you know? Warm and like someone had just cooked me a grill cheese sandwich and my favorite show was on and it was sweet. I felt pulled back and forth between Marty and this great party. I felt bad because I wanted Marty to get over with his grief so I could spend more time in this great place. Guilty. I spent time with Marty until he settled doen. Word got around about my death. My wife, my sons, my daughter.. all crying next. They were sad I was dead and I was sad they weren't here to see the other side of things. There was this one moment where my 'Linda, that's my little girl, cried so sweetly and begged God to bring me back. I cried. I had no eyes, no breath, but I sobbed. The more I wept, the more she did. Then I gathered myself and so did she for the most part. She felt me! They all did but no one talked about it, it wasn't like "Hey Dad's here with us, I know it" - no talk of specters, spooky sounds, nothing. I forgot about the party, as I like to call it, and Ma encouraged me to spend time with my living family. She even came with me. Dad was there too, but as in life, he was a quiet man - few words and when he did say something it meant something big. I felt his strength around me all the time. Even as a spirit he smokes cigars. Pipes. Lots of us do things like that, it's the feeling of it not the chemical body changes. I lay down spooning my wife as she tried to sleep, talking to her, she would cry a lot. Alone mostly, around the kids she waas a rock. I stayed with her for a long time, sometimes I would leave for a while when she was okay. When things got back to normal, a couple years later, I would spend more and more time on the other side of things. With the dead people (he laughs) and their gossip about the living and the dead. There was this one guy, Phil, who I never knew in life, but was friends with my Pa in life and in death he took me to see all sorts of things. The big landmarks at first - like the Eifle Tower, the Big Ben type bridge, the pyramids.. he'd traveled a lot as a kid and young adult and when he died he took it up again. We weren't alone, we would meet other people doing the same thing as us. Sometimes we would see a death and help the fellow out. Sometimes one of us would feel the itch to see our family again, and take a break. We could pick up whenever. It's weird to talk to you about it. Before I died, my life was hard but fulfilling. It's like the others say - the living is a womb and the death is birth. We see the ones that off themselves before their "time" and they're more confused. I died before my physical time, you ask me about fate and I don't buy it how people used to talk about it in my time. In my time, fate was this detailed plan made by something really detail-oriented. You know we agree you don't want to bring religion into it, most of us refuse to talk about religion, it's a surprise that's worth the wait and makes everyone happy. Well except those sad _____ that are never happy unless they're criticizing, that isn't cleared up after death at all. Time, maybe, but not death. Back to fate, sorry if I get off track, I know you're unwell sweetheart. So it's not that I was fated to die later as an old man or as I did behind the wheel of a chevy. By the way, it wasn't my fault, the accident. Fog, night, bad bridge intersection. Fate was more a lot fo growth I had to do. You see old people dying and they still had a lot of growing to do. Bodies give us shape in our consciousness, life gives character, variety." He sees I am tired and encourages me to rest. Allowing myself to be a conduit does take its toll, but it also has its rewards. Passing a kidney stone lately, hard to write as it requires attention otherwise used in dealing with pain. That's it for today :) Have a lovely night!